We recently won service connection for PTSD for a veteran who presented with a very complex case. The victory in this case illustrates why expert advocacy is needed in complex cases. This case involved a young veteran who joined the military at age 17 in order to escape a very abusive household. During his growing up years he was the subject of a lot of abuse in his home and it resulted in him suffering from bed wetting up until his teenage years. However, whenever he went to visit his grandparents and stayed overnight he never had the bed wetting problems. When he was at home, he always experienced the bed wetting problems as evidence of a psychiatric stress he was experiencing in that home. The problem did eventually subside and he then decided to join the military and make a career of it. He emphasizes that had he been suffering from bed wetting problems when he joined the military, he never would have joined. He asked the rhetorical question: Why would I join the service if I knew I was wetting the bed? Indeed, no same person would want to subject himself to the ridicule that would no doubt result from other recruits had he been discovered to be wetting the bed during boot camp. So we have a clear pre-service history of childhood abuse issues and no doubt some psychiatric trauma as a result. After joining the service and during boot camp the veteran ended up getting himself into some trouble that resulted in his entire unit having to do extra PT. This angered the other members of the unit and one night while sleeping he was the subject of a blanket party. He was beaten severely with bars of soap and socks while being held under a blanket on his bunk. This resulted in some severe psychiatric problems which caused the bed wetting problem to begin again. The veteran eventually received an early discharge as a result of his bed wetting condition. There was otherwise no documentation of the in-service assault. However, subsequent to service he continued to develop problems and had numerous encounters with law enforcement and altercations with people that he met. He received numerous head traumas subsequent to service and various fights. His post-service history was rife with numerous instances of head trauma and other psychological problems. He eventually ended up on Social Security disability as a result of traumatic brain injury residuals and other problems. From the perspective of a veterans’ disability attorney, this case presented numerous challenges. Normally, the VA would jump at the opportunity to either pin his problems on pre-service abuse or post-service head traumas. And in this case the evidence certainly indicated that he had those problems both before and after service. Nevertheless, this veteran was seriously disabled and our veterans’ benefits law firm was very motivated to do our best to try and help him. We began our work by analyzing the different events and creating a time line for his condition. 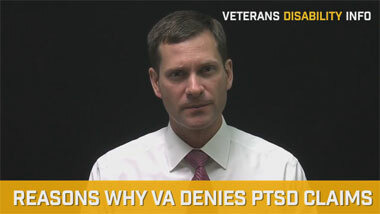 We realized that bed wetting was a physiological response this veteran had to stress. We also believe strongly that he was correct in stating that he never would have joined the service had he been wetting the bed at the time he enlisted. So therefore, we concluded that the bed wetting problem was not an active problem at the time of enlistment. 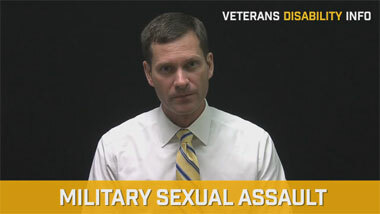 Therefore, we were able to determine that bed wetting was a psychological response this veteran had to traumatic events. We used this to anchor the onset of psychiatric stress to the time of service and thereby corroborating his account of the impersonal in-service personal assault. Then we had to explain away the post-service head traumas and other situations in a way that made sense. 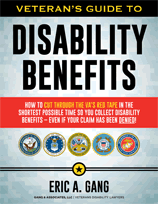 Otherwise, the VA would clearly try to pin his current disability on post-service problems. But in this case our deep experience in brain issues came into play. 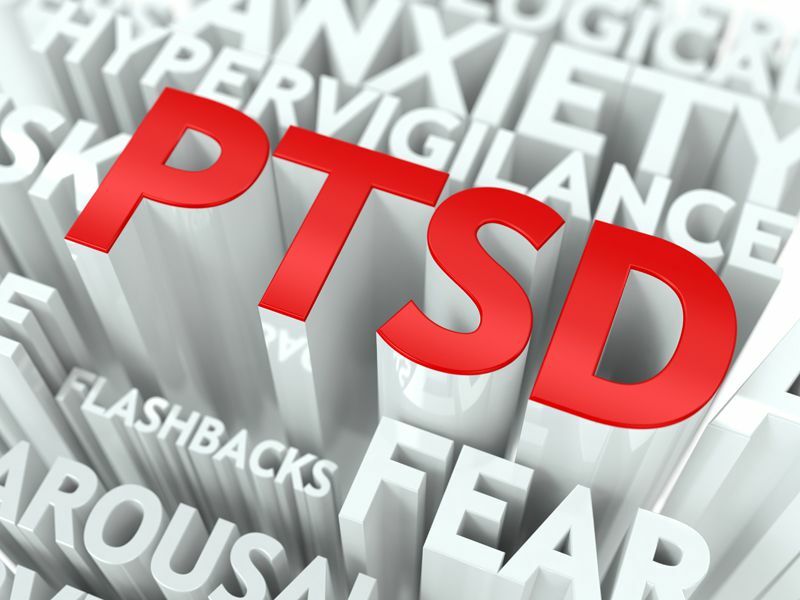 We realized that the PTSD is a condition that often affects ones judgement and we began to analyze most of the situations that caused him to develop post-service head traumas. Most of these instances involve him getting in fights where he was hit over the head with a crowbar and on other cases baseball bats. From our experience we realized that PTSD people often have poor impulse control, poor judgement, and they do tend to get into altercations. As a result, we reasoned that it was actually the in-service trauma that resulted in the PTSD that laid the groundwork for him getting into additional problems after service where he was exposed to head trauma. In other words, his getting into fights and getting hit over the head post-service was a symptom of the underlying PTSD that had its origins on active duty as evidenced by the manifestations of bed wetting during service. The result of this strategy was a victory for the veteran. How did we accomplish his very difficult task in a complex case like this? As a veterans’ disability attorney that specializes in super complex cases one of the primary strategies we used was a very high powered psychiatric expert who had experience in treating head trauma and bed wetting cases. In winning cases like this you have to understand the value of good medical experts. Without good medical experts this case would not have been won. I believe strongly that our veterans’ benefits law firm wins difficult cases that other firms may not simply because of our ability to marshal the resources of highly competent experts. The other factor is a deep understanding of how psychiatric issues affect ones judgement and predispose a person to having altercations with other human beings. These factors taken together combine to produce a winning result. If you or someone you know is suffering from PTSD as a result of military service but the case is complex and does not fit the mold that is typically seen in VA, then I invite you to give our veterans’ disability law firm a call. We may be able to help.